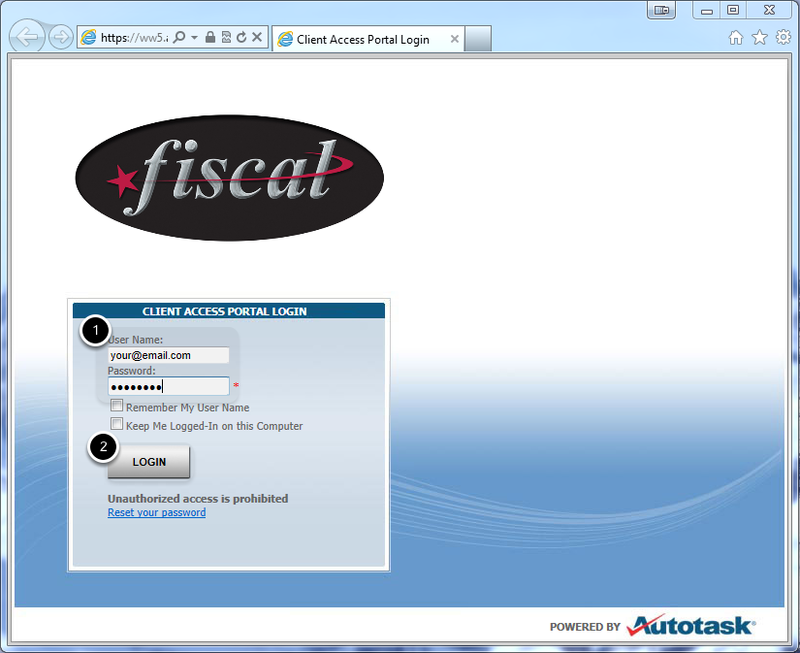 TravStar1 Point Of Sale SystemContacting Fiscal Support Contacting Fiscal SupportHow Do I Access the Client Access Portal? How Do I Access the Client Access Portal? 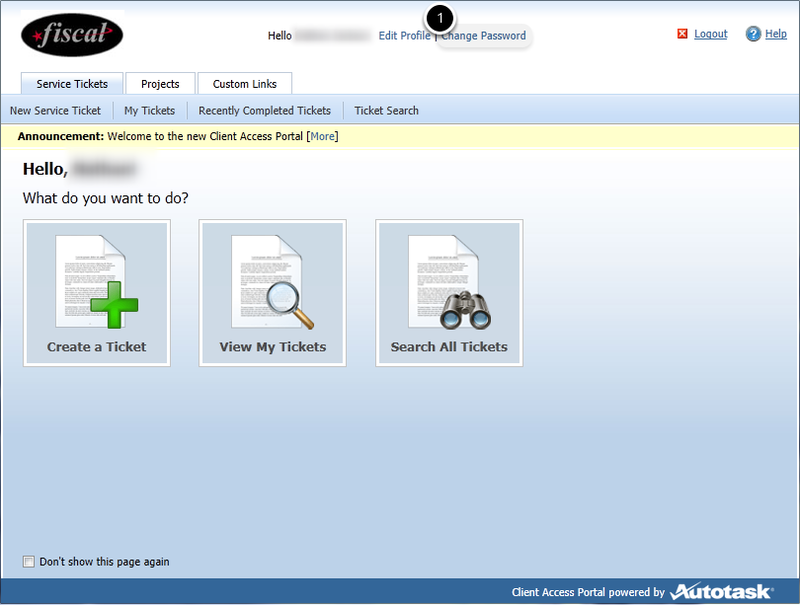 This Lesson covers How to Access The Client Access Portal for the first time. 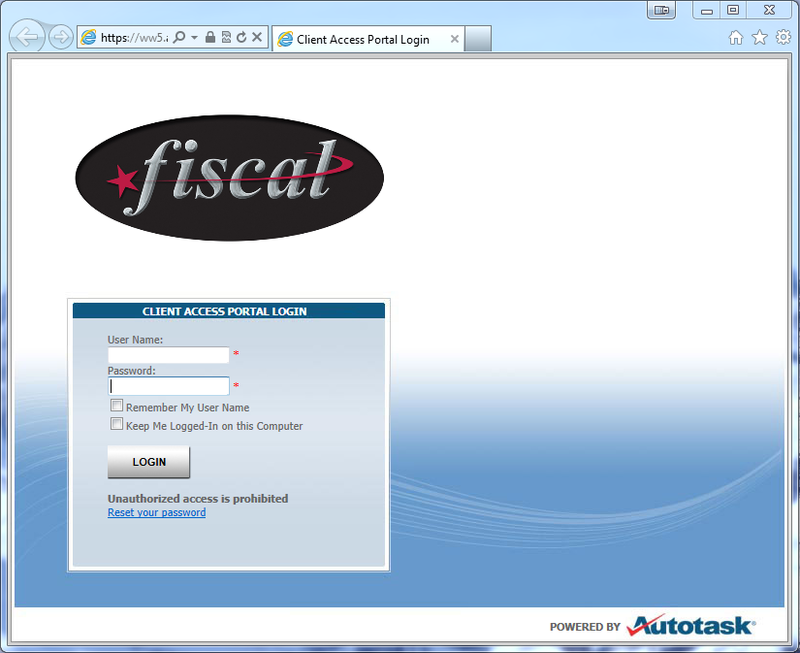 After Purchasing your new Fiscal Systems Inc. POS System, you will receive a email with login information and a link to the Client Access Portal. Click on the link provided in the email, or type bit.ly/clientaccessportal into your browser address bar. (1) Type your email address as Username, and type your Password (the Password can be found in the email). (2) Click on the "LOGIN" button. 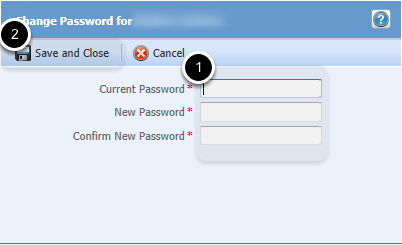 (1) Type in your Current Password (password received in email), your New Password, and then retype your new password. (2) Click on the "Save and Close" button. 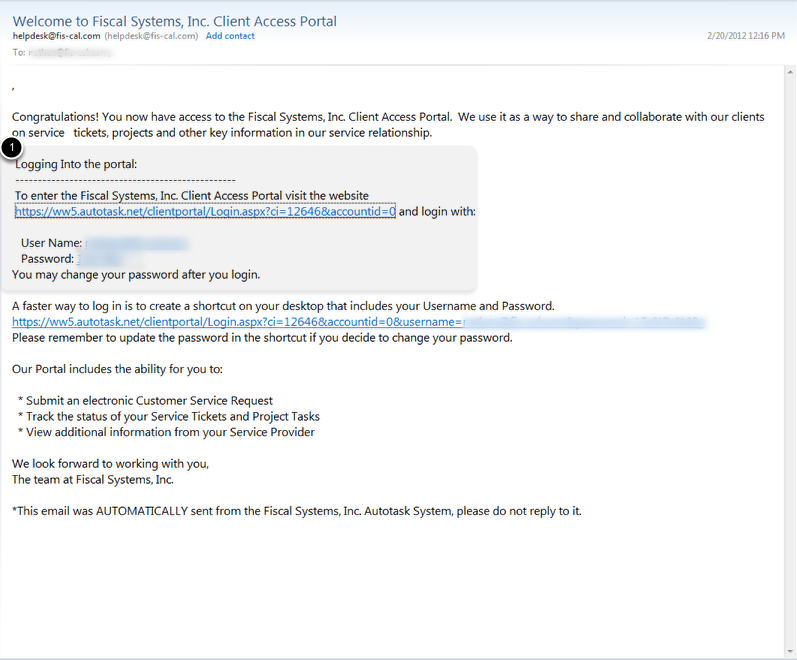 You are ready to use the Client Access Portal. Prev: How Do I Contact the Fiscal Systems Support Desk? 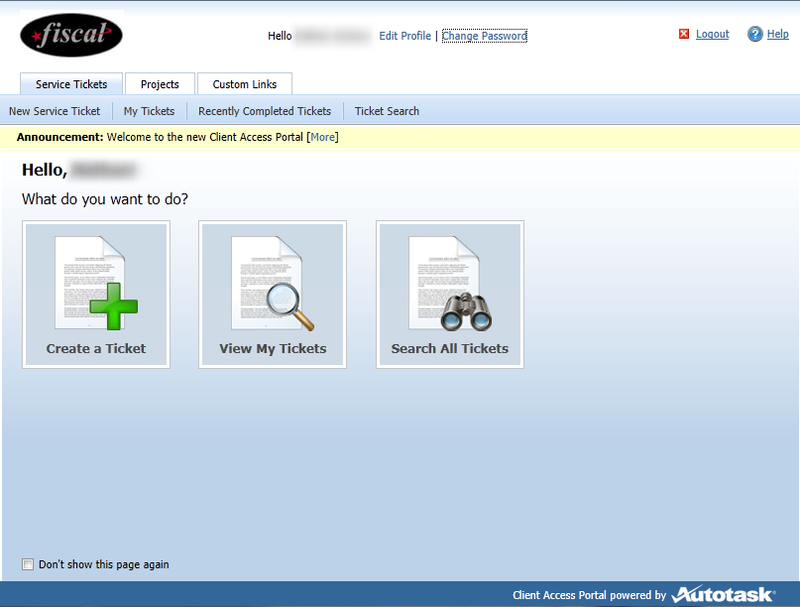 Next: How Do I Create a Service Request Using the Client Access Portal?